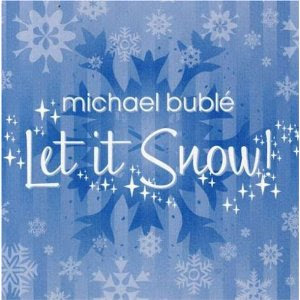 My new favorite Christmas music comes to me via Michael Buble Christmas (EP). I fell in love with his verison of “Let it Snow”, which I recently heard come across the radio waves, so I went home and bought the whole collection from iTunes. Bonus for me, the EP also included my other favorite Christmas song “I’ll be home for Christmas”. I personally enjoy Michael Buble's old school, jazzy style in which he somehow adds a modern little twist to making it his own . This Christmas music collection makes me want a white Christmas, which is a little ironic considering I am not a fan of snow or the cold weather for that matter. Whats your favorite Christmas music collections or even just your favorite song?